Invest in new window treatments this year! When you’ve completed your latest home repainting job, you may find that there is still something lacking to help make your rooms look and feel complete. Adding complimentary window treatments, like those from Graber, can help completely transform your home and make that fresh coat of paint pop. Depending on your home and style you’ll likely want to try a different style of window treatment. Graber offers three main types of custom window treatments, today we’ll walk you through the differences. All three options come with excellent craftsmanship and a lifetime warranty. 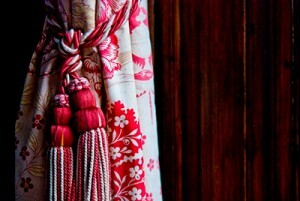 For an incredibly luxurious and elegant style, the Artisan Draperies by Graber are an excellent choice. Made from premium fabrics in a variety of styles, colors, and patterns these work well to help provide light control, sound absorption, and insulation. Graber’s Artisan Drapery offers detailed construction with double-turned hems, mitered corners, sewn-in liners, and bottom weights that guarantee that your drapes and curtains hang beautifully. Made from renewable materials like bamboo, reeds, grass, and jute, natural drapes offer a unique and sustainable look to your home. These drapes are made from lightweight, tightly woven materials offer gentle light control. Each natural drape is finished with edge banding to ensure that the final product is durable, long-lasting. If you’re looking for a thoroughly modern style, Graber offers a sophisticated range of valances, stately cornices, and dramatic swags and cascades. These custom fitted options add the perfect finishing touch to any window. Valances are a great option if you are looking to highlight the distinctive beauty of wood and can help add bold design to your windows. Cornices can also create drama and are available in a wide variety. Other options include swags and cascades and palladian shelves. A specially designed, palladian wood shelf allows blinds and shades to be easily mounted to windows with unique shapes.